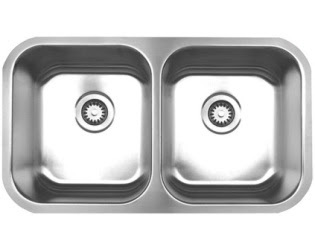 Kitchen sinks are typically the centerpiece of any kitchen. Choosing the right sink for one’s kitchen is a vital step to adding character to this highly used room. 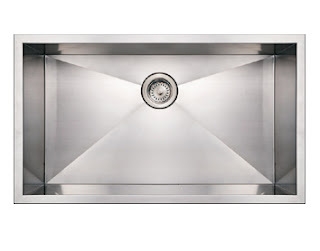 Stainless steel sinks are the perfect choice for achieving the perfect sleek and modern kitchen look. 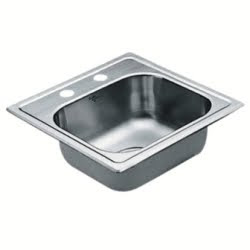 Check out these five-star product reviews on a few of Vintage Tub’s top quality stainless steel sinks. "A sink is a utilitarian object, but one that is used many times a day. It has to be so good we forget about it. Starting with the search process at Vintage tub to ordering, to quick delivery and packing that ensured a pristine item upon opening, all steps were so efficiently completed that we didn't have to think about it. The contractor did the installation (mounted under soapstone) so it isn't easy to provide a firsthand comment on that - but it went in easily, without complications. I love the extra depth of this sink, something I didn't find anywhere else. And the grade of stainless is what I hoped for - not too thin. I look forward to not thinking about this sink for decades to come." "Just as advertised! Great service! ***** Delivery was adequate. Easy install. I would recommend this company anytime." "Sink arrived ahead of anticipated time and is everything we could have hoped for.Not installed yet, but we are sure it will be perfect. Thanks"